For more than 125 years and five generations, the Bryant Family has farmed the lands of Wayne County, PA. It is this sense of place that drew Emily Bryant and her husband, Jay Montgomery, back to Wayne County, with an idea to help the family farm prosper. While living in Bakersfield, California, the couple had developed an interest in using farm fresh milk to produce artisan cheeses. In California, Jay gained experience at an ice cream manufacturing company, and Emily, who had worked at the Penn State University Creamery as a food science undergraduate, took a cheese-making course at Cal-Poly University. Ultimately, Jay and Emily decided they could successfully fuse their creativity, their business savvy, and their desire to help the family farm; and launched Calkins Creamery. 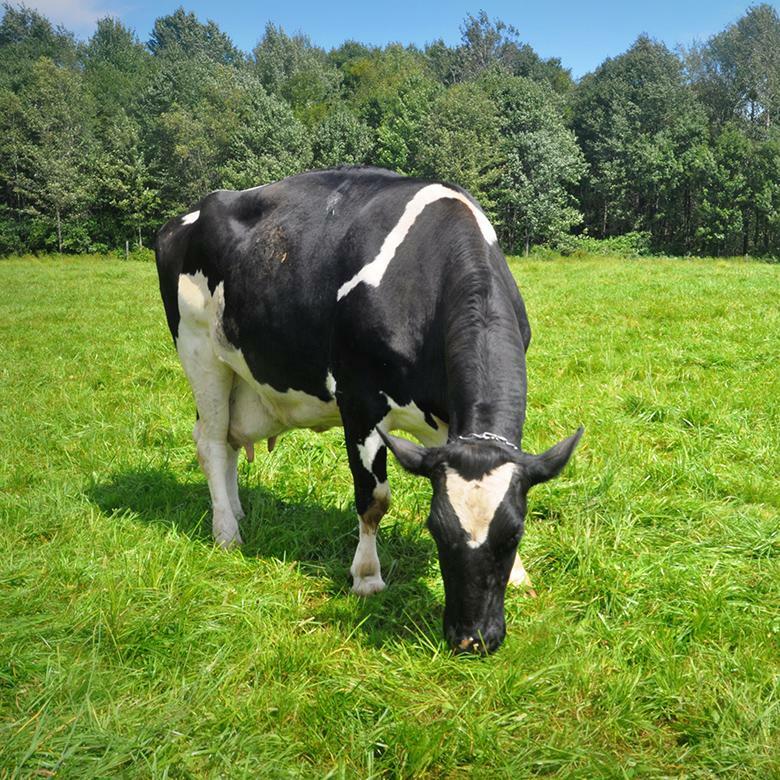 Their closed herd of Holstein cows are totally comfortable grazing on the farm, and as a result produce more milk that is higher in butterfat resulting in rich, delicious cheeses.